It is strongly recommended that locals walk to the event as it is expected the roads and car parks around the park will become heavily congested. 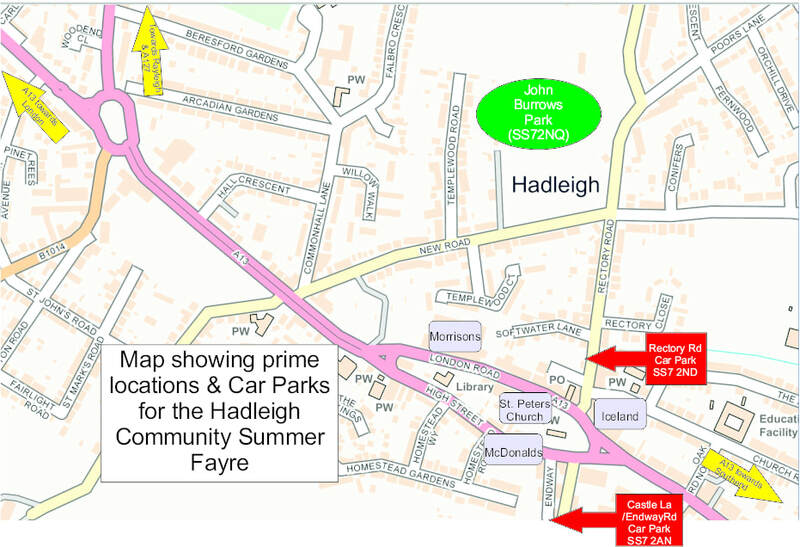 Nearest Car parks are in Rectory Road (SS7 2ND) or Castle Lane/Endway Car Park (SS7 2AN) which both offer Free parking. It is strongly recommended that local residents walk to the event as it is expected the roads and car parks around the park will become heavily congested.